Why are Greenhouse Growers Slow to Shift to LEDs? 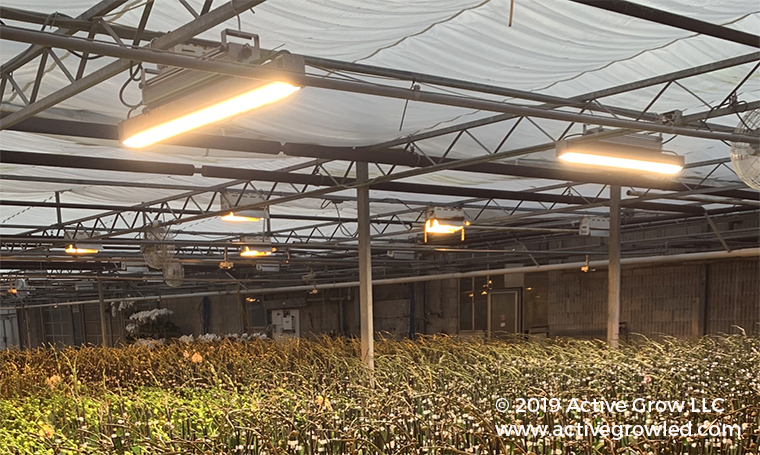 Seattle, WA, February 9, 2019, Active Grow, the sustainable horticultural lighting manufacturer was recently featured in Greenhouse Grower Magazine’s Report titled Why Greenhouse Growers Have Been Slow to Shift to LEDs. With only 2% of total commercial ornamental growers using LED lighting, Taylor Schaberg of Active Grow and other industry experts share why the transition to energy efficient LEDs has been a sluggish one. According to Taylor Schaberg, the Managing Director of Active Grow, one of the biggest reasons why greenhouse growers are hesitant to switch to LEDs is price and priority. “Lighting, on average, is 50% of a commercial operation’s energy costs, but the economic feasibility of switching to LEDs is not always the most important thing on growers’ minds. Most growers are hesitant to change to LEDs due to their prohibitively high cost, even if they can get that money back within one to two years from energy savings and potential rebate opportunities.” Schaberg continues to explain that some growers have dialed in their operations to work successfully with HPS lighting systems, so using all new LEDs is off-putting. “As technology changes and LED prices drop, some growers feel they can wait until these systems become more affordable up front to jump in,” Schaberg says. To continue reading this article on the Greenhouse Grower website please click the link here. Active Grow LLC is a commercial grade horticultural lighting manufacturer based in Seattle, Washington. The company works directly with experienced growers to develop the next-generation of horticultural lighting systems that are energy efficient and long-lasting alternatives to HPS, HID and fluorescent grow lamps. Active Grow LED lights feature the latest technological innovations to help growers increase their yields and maximize their production. Follow us on Instagram, Facebook, Twitter and Youtube for the latest company updates and videos.